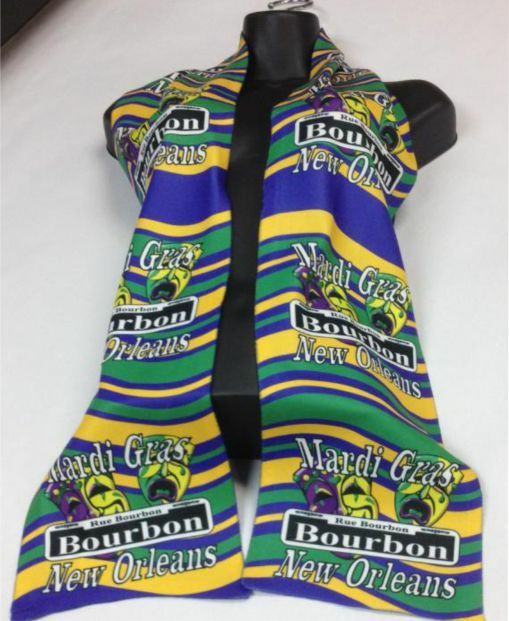 Mardi Gras Scarf, Vapor® Fleece, 60" x 8", Purple back with Mardi Gras print on the front. Luxurious and wonderful feel. You will love this item.